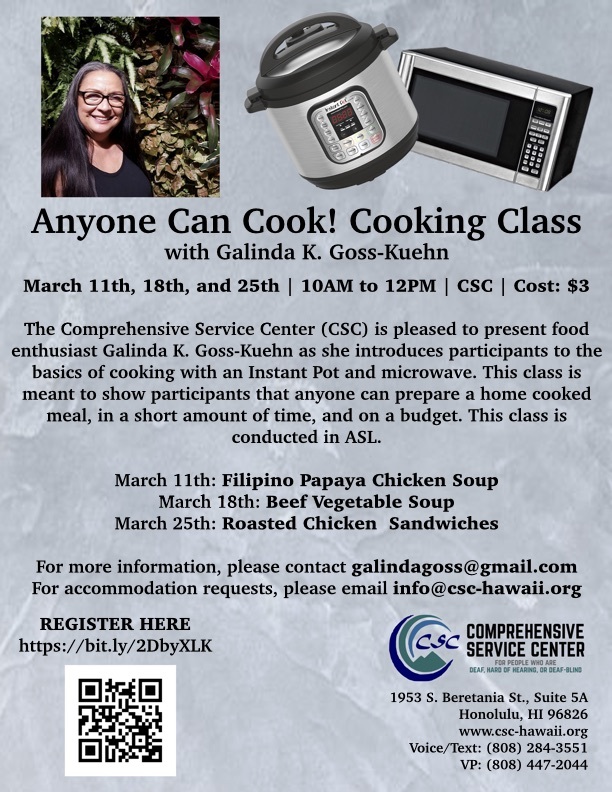 The Comprehensive Service Center (CSC) is pleased to present food enthusiast Galinda K. Goss-Kuehn as she introduces participants to the basics of cooking with an Instant Pot and microwave. This class is meant to show participants that anyone can prepare a home cooked meal in a short amount of time, and on a budget. This class is conducted in ASL.